I came across this novelette completely by chance after the author kindly giving it away for a limited period on twitter. A free book? How could I resist? I'm so glad I saw that tweet as this little story was simply exquisite, a real treat to read from beginning to end.It is deeply atmospheric despite having an unknown setting and as the title says, it is truly macabre. I have to admit it took me a while to figure out what was going on but I didn't mind being led down the rabbit hole as I was too busy enjoying the ride. The tale centres around a young child who's innocence is in start contrast with Him, and that's all I can say. I don't really want to delve too deeply in the plot and risk spoilers for those who haven't read the story. It is a really well crafted and thought out story which offers something really different. Each word earns it place in this tale and I love all the really clever clues scattered around. Once I had finished reading this, I began to read it again. Even once finished I couldn't put it down. It was on the second read that I saw how clever it was! This is the perfect reading for those dull periods when you find yourself in between books. I really hope that we'll see more great works from Laura.M.Hughes in the not too distant future. 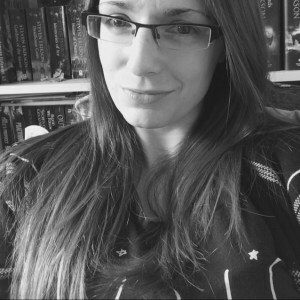 Laura M. Hughes dwells beneath the grey, pigeon-filled skies of northern England where she reads and writes for Fantasy-Faction and Tor.com. When she isn’t absorbed in playing Dragon Age or working on her first novel, you’re most likely to find her trying to convince unsuspecting bystanders to read The Malazan Book of the Fallen. 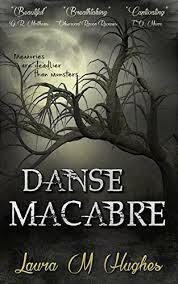 Hughes encourages like-minded folk to seek her out on Twitter @halfstrungharp and to check out her horror/fantasy novelette, Danse Macabre, on Amazon.